Mr. Langlois focuses his practice on business litigation. Prior to joining Stone Pigman, he served as a Judicial Extern for Judge Stephen A. Higginson in the U.S. Court of Appeals for the Fifth Circuit. He joined Stone Pigman in 2017. Successfully defended a Fortune 50 company in litigation alleging the sale of "Chinese drywall." Obtained the 12(b)(6) dismissal of the company on the basis of res judicata and was awarded attorney's fees, litigation expenses, and costs. Successfully defended major drywall manufacturer in litigation alleging the production of "Chinese drywall." Obtained voluntary dismissal of the company after successfully removing the case to federal court on the basis of improper joinder. 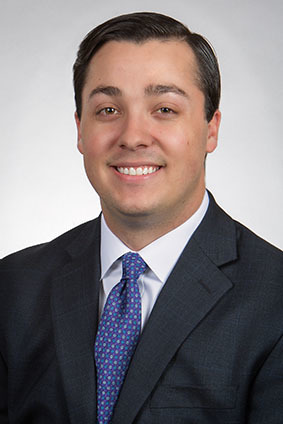 Mr. Langlois is an inaugural member of Loyola University of New Orleans' Law Review Advisory Committee, on which he serves as a mentor to Law Review members as they transition from law school to the professional legal community. He is also a member of the Louisiana State Bar Association. Casenote, Kelly v. State Farm Fire and Casualty Company: Practical Effects Resulting from an Expansion of Insurers' Broad Good-Faith Duty, 61 Loy. L. Rev. 799 (2015). Comment, Louisiana's Collateral Source Rule: Eliminating the "Windfall" Arising from Medical Expense Write-Offs, 63 Loy. L. Rev. 291 (2017).